Very helpful staff, extremely quick even though I didn't have an appointment. Invoice number 43662194 on 12 June; Processed by David Whitford, fitted by Christian Everitt and quality control Tyler Seymour. On the 2nd October 2017 we went to the High Wycombe branch and we received exceptional service by the branch manager (David Whitford) and his team. We brought our car; a Laguna that required a catalytic converter and it transpired that as they were working on the car; the screws were so rusted that they were snapping on touch. the team took their time to bore in new holes to make sure that the car is fixed properly. They went an extra mile to ensure that the job was done professionally. In short; they did the impossible and we were very impressed indeed. Ease of ordering tyres from website, helpful customer service, knowledgeable, helpful and efficient staff at the branch. The guy in charge at the High Wycombe branch was so knowledgeable with regard to a handling problem on my Mini Cooper. I wish I could remember his name but I think he's the manager. Great advice given, very happy. Good service and were open when most competitors were closed after 1PM on the day I needed assistance. In that respect I was very pleased. Extremely helpful and resolved a disputed warranty issue relating to a punctured tyre. The High Wycombe branch were very professional,friendly, and helpful, and knowledgeable, on the phone. I called specifically to enquire about Barum Tyres, which my usual supplier cannot offer. Mgr David , and his man, Chris, were very efficient, and thorough. I am trying Barum's for the first time, always being a Michelin devotee. My cousin, in Glasgow, recommended them. His swears by them ,on his Alfa Romeos !! Very well presented workshop, and facilities. The fitter, Andrew Turner, was most helpful and interested in doing the job. The manager was not. I had belongings in the boot of my car, so didn't expect my spare tyre and jack etc. to be neatly packed back into its place; but it was, and without fuss. Staff were friendly. service was quick, tyres I wanted were in stock. Fantastic service from your staff and a very quick turn around on all work. I always use you for Tyres and feel extremely well treated! Served in a friendly and courteous manner Technicians happy to advise on tyre choice. Fast and friendly service, good quality product and fantastic pricing! Staff helpfulness, courtesy. polite, helpful. Staff are always courteous and do not make me feel like a idiot! They have always been able to repair or replace my tyres immediately. Service was fast and efficient at a good price. Excellent service. Prompt booking, efficient fitter. Good opening hours, prices and convenient location. Very professional service, from the moment I rang to book mobile fitting service, through to the guy who turned up and just did the job without any hassles at all. Very efficient and professional service, from the moment that I placed the call through to the mobile unit turning up and effecting the repair/replacement. You are still recovering from an issue that caused me a huge amount of inconvenience and distress. Please ring me to discuss further if you wish. 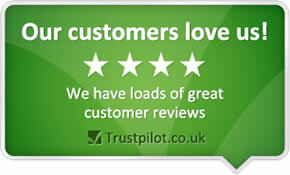 Good customer service and able to offer competitive quote. Was able to book in for an appointment next day as parts were in stock. Not 10 as nothing was above and beyond which would prompt me to recommend without doubt. Efficient and quick service (I commend Robert O'Brien at High Wycombe particularly on this score). Clear explanations given before work done and itemised after work done. Excellent attitude from staff and good prices the discount helped too! The service that I received was very good & also the price of the item. The customer service and price of goods are very good at High Wycombe. Very helpful, very quick. Excellent job done. Quality, Good value for money. Prices are competitive and service is usually efficient. Staff professionalism is high. Access and parking at the workshop is easy. Competitive price, good communication on phone and fast service on the day. The service was excellent I was kept informed of work being carried out as well as visible signs of things which needs attention in the near future. Good job done well by tyre fitter.